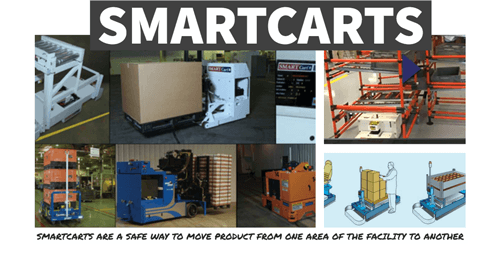 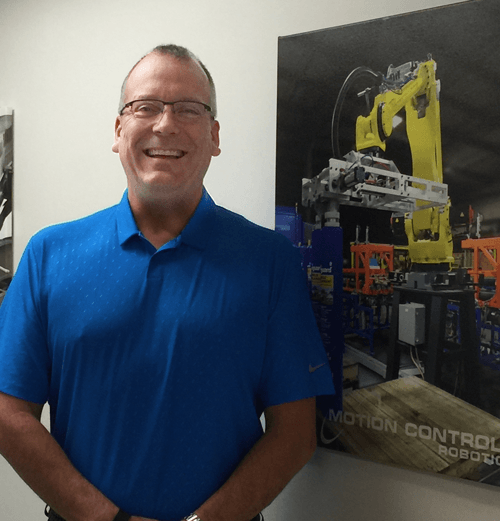 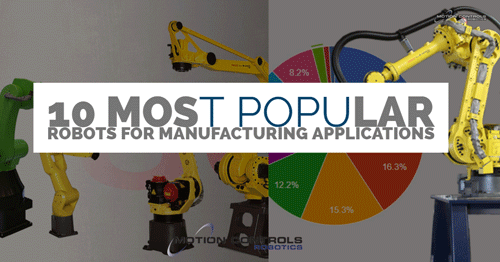 Fremont, Ohio – Founded in 1995, Motion Controls Robotics, Inc (MCRI) is a leading provider of custom robotic integration solutions. 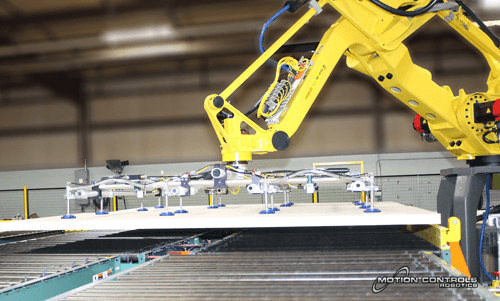 MCRI will be exhibiting at both north and south Converters Expos this year making it easy for all paper, film, foil, and nonwovens companies to experience robot systems in a virtual reality environment. 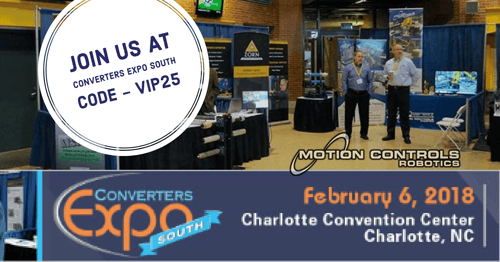 booth #39 at Charlotte Convention Center in Charlotte, North Carolina on Tuesday, February 5, 2019, from 10:30 a.m. – 4:30 p.m.
booth #97 at Lambeau Field Atrium in Green Bay, Wisconsin on Thursday, March 28, 2019, from 9:30 a.m. – 3:30 p.m.
Motion Controls Robotics offers flexible systems with the ability to lift and transfer small rolls up to master/parent rolls. 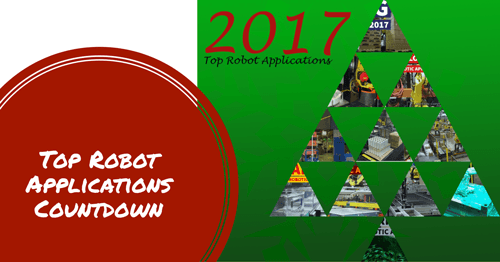 Robotics for roll handling maximizes productivity, helps to maintain a quality product with no damage, and improves worker safety. 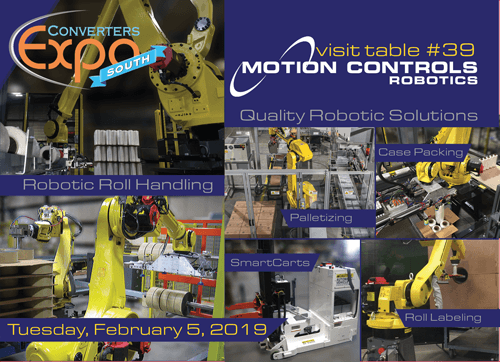 Stop by the booth to watch roll handling system videos using VR headsets and get the full experience of what robotic roll handling can offer. 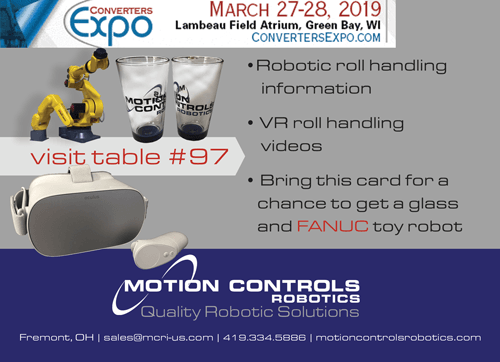 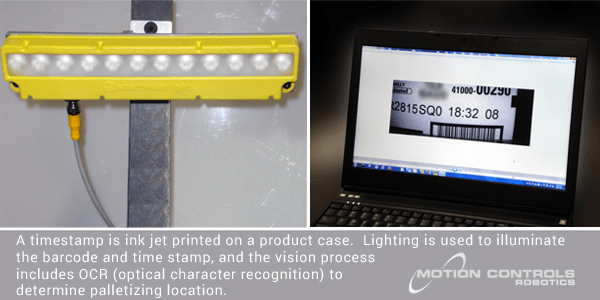 Look for a Motion Controls Robotics card in the Converters Expo show bag and bring it to the booth for a chance to get a toy FANUC robot model. 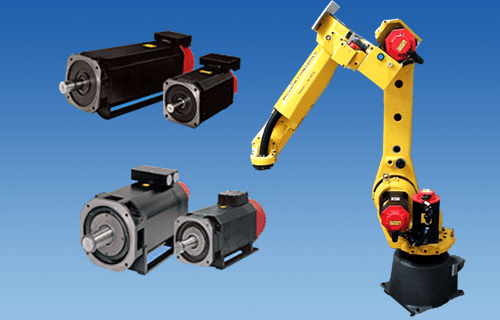 Stop by Booth #39 at Converters Expo South and/or Booth #97 at Converters Expo in Wisconsin – to set up a meeting to discuss a specific robotic roll handling applications during the expos contact James Skelding at (419) 334-5886 or use the online contact form and mention Converters Expo.